One of the harshest ways in which a creditor can secure funds it is owed is to garnish a bank account after winning a civil judgment. This strategy is effective because the bank receives notice before the debtor, so by the time that the debtor discovers the garnishment, the account has already been frozen. While joint accounts can be garnished, the account holder who does not owe the debt may be able to protect his or her funds. A bank can generally garnish a joint account even if only one of the account holders owes the debt. This is because joint accounts are not separate property. Instead, each account owner is typically permitted to withdraw the total amount of funds in the joint account, based on the account agreement. A joint account owner can rebut the presumption that the debtor has entire ownership of the account. States have different standards in approaching this issue. For example, Kentucky requires a showing from the account holder or debtor of separate contributions and an intention to limit the use of the account. Florida does not permit the garnishment of a bank account that is held as tenants by the entirety, a special form of ownership available only for spouses. In New York, if an account holder can show that the debtor was added to the account only for convenience, the entire account can be released from the garnishment. Before a creditor can execute a garnishment or levy against a debtor, it must have a judgment against the debtor. The terms "garnishment" and "levy" are used interchangeably when discussing the taking of funds that are in a bank account to pay off an outstanding debt. The creditor gets a writ of garnishment from the court that orders the bank to re-route funds to the creditor. The bank receives the writ of garnishment and then freezes the account. Once the bank receives the order to garnish the bank account, it will freeze the amount listed in the judgment. This means the account holders cannot remove funds from the account that are within the frozen limit. The remaining funds can still be removed. A creditor is not required to inform a debtor that the bank account is frozen until after it notifies the bank to freeze the funds. 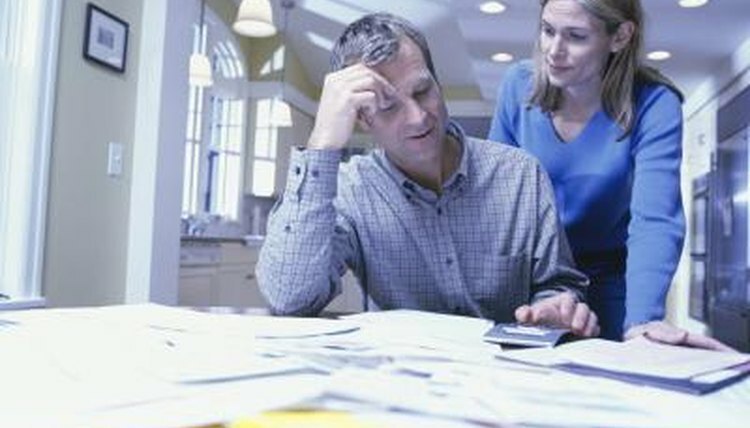 The bank must freeze the account immediately before notifying the debtor. The creditor only has to provide the debtor with notice that it filed a lawsuit against the debtor and that it obtained a judgment. Certain forms of income and benefits cannot be garnished from a bank account. This includes railroad retirement benefits, Social Security benefits, veterans benefits, workers' compensation, FEMA aid and student loan disbursements. The bank must review deposits made within the last two months and exempt any funds from such federal benefits. Some states require the creditor to leave a certain amount of funds in the account. Some states require the creditor to keep a portion of the account balance available to the joint account holder. The account holder or debtor must file the necessary paperwork with the court or the bank to substantiate such exemptions. Kemp, Samantha. "Can a Joint Checking Account Be Garnished?" , https://legalbeagle.com/5572723-can-joint-checking-account-garnished.html. Accessed 19 April 2019.